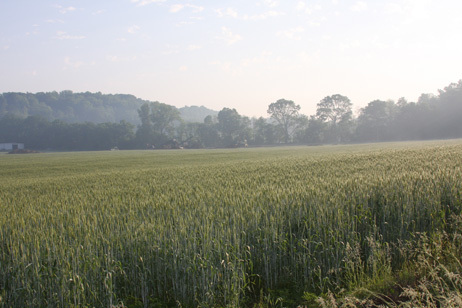 This wheat field is where your topsoil comes from. No material is ever hauled in from an outside location. We offer shredded and unshredded topsoil. We have four different size loaders to facilitate the loading (small pickups, trailers, up to large semi-dump trailers). Special hours for loading are available upon request.